Whereas the study of all human languages is important, scholars have traditionally attached special importance to the study of languages that represent the most ancient civilizations. This approach is understandable. Through a better understanding of its language, a civilization can be more deeply penetrated, better understood and appreciated, and superficial observations can be avoided. Semitic languages occupy a significant position in world civilization and recorded human history. There are believed to be about seventy ancient and modern Semitic languages, about fifteen of which still exist in Ethiopia. In its day, the Assyro-Babylonian culture (about 3,000-500 B.C.E.) was among the most remarkable, and many subsequent cultures are indebted to it. The Phoenicians (first millenium B.C.E.) played an extraordinary role in making the Mediterranean world a single cultural area. They founded cities, and their script was adopted and utilized by the Greeks and the Romans. 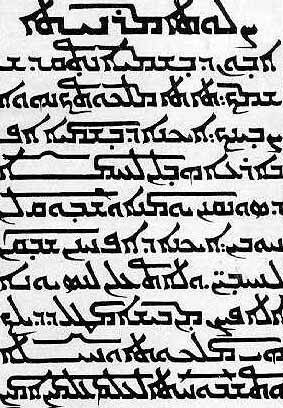 The Aramaeans gave India its major writing system. The Hebrews produced the Bible, perhaps the most influential book in history and the fundamental text of three of the world’s major religions: Judaism, Christianity and Islam. The Syrians and Ethiopians wrote and copied many ancient manuscripts, preserving them for posterity. It is only through the intensive study of Semitic languages that this amazing array of cultures can be properly understood. Traditionally, Semitic linguistics has been studied as a field of interest of specialists in a given branch or language, but we are ready now for finer research into the Semitic family as a group, endeavoring to identify common features and, beyond that, by using general linguistic methods, examining the underlying similarities between this group and all other languages of mankind, including the related ancient Egyptian, the language of another most splendid ancient civilization. The Semitic languages are among the earliest written languages of the world. More importantly, however, they are the first languages to use the alphabetic form of writing, a “computerization” of human sounds, representing the most revolutionary ancient step taken in the history of writing. Semitic languages are among the richest languages of the world in the preservation and transmission of ancient documents, the most famous being the Hebrew Bible. The term “Semitic” has been conventionally used to designate a group of languages spoken by the Hebrews, the Arabs, the Ethiopians, and other ancient and modern peoples of the Near East (Mesopotamia, eastern Mediterranean, and the Arabian Peninsula) and the Horn of Africa. In their morphology, phonology, lexicon, and syntax, the Semitic languages manifest a great many common elements and features. Hence, scholars set them apart as a linguistic group having a remarkable degree of internal unity. They are now believed to be a subdivision of a major family of languages called Hamito-Semitic or Afroasiatic, which includes ancient Egyptian, Berber, Cushitic, and Tehadic. The striking similarities among Semitic languages cannot be accounted for by borrowings in historic times, but only by the hypothesis of a common origin. Moreover, the strong organic unity of the Semitic dialects would be very hard to explain without reference to the close relationship between the peoples who spoke them. How are Semitic languages related? Semitic languages may be divided into certain main groups. The earliest of which we have documentary evidence is Akkadian, the language of the peoples of Mesopotamia, which include the Babylonians and the Assyrians. A second group is formed by the languages called Canaanite, because they were spoken in the eastern Mediterranean (Canaan in the Bible); this group includes Hebrew. A third group is Aramaic, a set of dialects first attested to in Upper Syria, but later becoming widespread. A fourth group is Arabic, known to us from before the time of Muhammad from a series of inscriptions, principally those of the Nabataeans, but having as its “classical” form the dialect of the Qu’ran and subsequent Islamic literature. The fifth and last group is Ge’ez (Ge'ez (Classical Ethiopic)) and Sabaean, spoken respectively by the peoples of Ethiopia and Yemen in ancient times. Today there are about fifteen living Semitic languages spoken in Ethiopia.